LA's Alan Bernhoft is a veteran music pro who's played in a punk band, written rock musicals, scored movies and released a children's album, just for starters. Along the way, he's recorded a number of tracks that are yes, Beatlesque, and he's compiled them here in Beatlesque One. So while there's no mystery as to the operative sound here, the question remains: just how good are these "Beatlesque" tracks? Answer: Pretty darn good. Bernhoft covers most of the Beatle era in sound here, so the effect is not unlike a Rutles album. "Keep Your Hands Off My Baby" is the leadoff track, and it perfectly captures the Early Beatle sound and is quite reminiscent of "Leave My Kitten Alone". "Magic Everywhere" would be at home in the mid-period of Rubber Soul and Revolver, and "Someday" and "Sunshine Girl" are dead ringers for some of McCartney's more playful moments while "Winter Ocean Mary Go Round" hints at Lennonesque psychedelia. Perhaps the standout track is "Growing Older", which has an "Eleanor Rigby"-like melody in the verses (without the strings) and then merges it with an "I've Just Seen a Face"-like chorus. The disc closes with three children's tracks, but are quite enjoyable on their own terms. 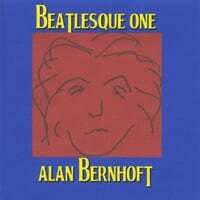 As the producer of an independent movie about McCartney noted, "We couldn't afford The Beatles' music, so we got the next best thing- Alan Bernhoft", and if your tastes run more to the whimsical McCartney side of the Beatles, Beatlesque One should be Number One on your list to get. Been a bit swamped at work lately, and at home I've got 3 under-10 boys to watch myself this week, so I'm not quite getting as much done here as I'd like at the moment. Or maybe I just should have announced that I was suspending the blog until we could get a bill passed solving the banking crisis. Frank Zoda-In The Grip. 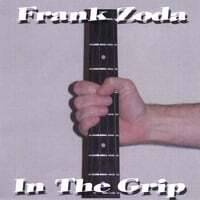 Pennsylvania's Frank Zoda makes his debut with In The Grip, a generous 13-track (plus 3 bonus tracks) offering that will appeal to fans of Richard X. Heyman, as well as recent releases from Doug Bryan and Tim Morrow. Zoda's formula here is earnest vocals in support of a traditional, melodic power pop sound, and it comes through big time on tracks such as the rocking "Expectations" and "Love In Your Eyes", the latter of which has a definite Marshall Crenshaw vibe. Another winner is the lushly produced ballad "The Way", which is also featured in an acoustic, "as natured intended" bonus track version, and its musical cousin, "No Reason". And in some alternate universe, "Another Lonely Christmas" might be a holiday standard. Get a "grip" on this one. The Rhinos-In Rhi-Fi. You say you want some jangle pop? If it weren't for The Byrds, these guys would probably be the band you'd see when you look up "jangle pop" in the dictionary. This Swedish band has their second album out for Rainbow Quartz, and it's even better than the first. From the signature jangle of leadoff track "Everything That She Believed" to the baroque 60s pop of "Love (The Strangest Thing)" to haunting "My Town" (which recalls early REM crossed with 60s Britpop), it's all good. Rhiotously good, in fact. The Campaign-The Campaign (EP). 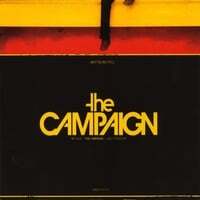 It's fitting that in this presidental election year we get a release from a band named The Campaign. You won't need a political consultant to tell you that this Texas band is promising high-energy power pop in the spirit of Orson, Rooney and other modern bands. There's no debate that "Catch My Life" is a catchy track, and the power ballad "Yours Tonight" should be worth a few points in the female demographic. And "Taking My Chances" will not reduce the federal deficit, but will reduce your own music deficit. All in all, this is a winning Campaign. I'm Steve from Absolute Powerpop, and I approve this EP. 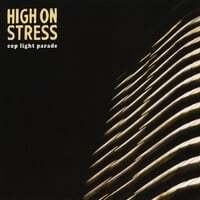 High on Stress-Cop Light Parade. If Jay Farrar worked with Paul Westerberg in Uncle Tupelo instead of Jeff Tweedy, this is how they would have sounded. In fact, some of frontman/songwriter Nick Leet's song titles recall Westerberg's wit and wordplay ("White Sugar", "My White Pages", "Trample With Care", "We Could Have Been Nobody", "Tomorrow Is Coming at a Bad Time", just to name five). Mixing Americana with pop and rock in a distinctively Minneapolis manner, High on Stress also mix in a Stonesish sound at times (the aforementioned "White Sugar", of course), as well as the roots pop of a Walter Clevenger. There's a real uniformity of quality to all the tracks here, and if your tastes run in this area, you'll definitely want this one. 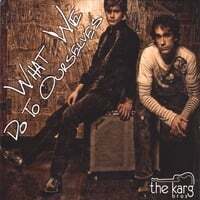 The Karg Bros-What We Do to Ourselves. This Nashville duo (yes, they are actual brothers) compare themselves to a cross between The Everly Brothers and Coldplay, and on leadoff track "Letting Go" (as well as the title track), they pull it off. For the most part though, this is high-quality melodic roots pop that leans more to the Everlys than Coldplay. "Can't Make My Heart Behave" is right up the alley of Bill Lloyd, "Sweetie" is all pedal steel and sweet harmonies, "Livin' Fast, Lovin' Slow" has a Tom Petty vibe, and closer "So Many Ways" recalls the early Eagles. An extremely promising record. 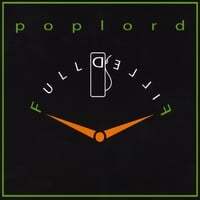 As much as I like to be up on the latest power pop releases, a few always manage to slip through the cracks. Back in early 2005, I bought an EP titled 400 Miles by an artist named Duff, and enjoyed it. But I never heard about Duff again, and chalked it up to a case of another one-and-done artist. Well it turns out that the Duff of 400 Miles is actually Californian Duff Ferguson, and he released Good Things in mid-December of last year, which only came to my attention in recent weeks. Good Things is certainly an appropriate title, and it's a quality disc of California pop on which Ferguson is helped out by a couple of favorites around these parts, Todd Herfindal of The Meadows (who has his own solo album about to come out) and Rich McCulley who co-produce. The bright sound and swelling choruses of the title track and "We Will Escape" let you know all you need to know of Good Things' sound. The Meadows is an obvious reference point, and there's also a hint of the recent Mikal Blue disc in there as well. "The Things That Lovers Do" rocks a bit harder, but not too hard - much in the vein of The Jayhawks on Smile, while "One Day at a Time" recalls Del Amitri. "Make It Right" is another pop gem, and "Never Enough" shows that Ferguson has a way with the slower numbers as well. And Jeff Larson is probably somewhere out there wondering how he never wrote "Forever California". As the British would say, there isn't a duff track on this disc, so get off yours and give this one a listen. 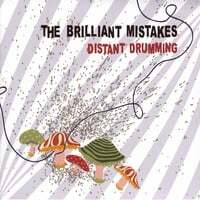 NYC's The Brilliant Mistakes (apparently named after an Elvis Costello song) are back with their third release and first in several years with Distant Drumming. They're a bit of a hybrid - ranging from Costello/Squeeze-like pop to Jayhawks-like Americana and all points in between. Whatever the underlying sound, their tunes reveal an assured songcraft that makes Distant Drumming a special release, and they even have Mike Viola helping out on a couple of tracks. Things start off on the rootsier side with "The Day I Found My Hands" and "Monday Morning (Sky Above You)", two tracks whose easygoing charms will have you humming along. Their eclectic sound continues to unfold with the light bossanova-meets-Brian Wilson pop of "Becoming" follows, while "Good Year for a Change" is a Beatlesque piano-based number not unlike Oasis' "Don't Look Back In Anger". Elsewhere, "The Circle's Not Broken" and "The Words" sound as if Ben Folds were fronting The Band, and the pop magic of "Time In The Night" is where the Squeeze/Elvis Costello comparisons come in. Album closer "Wake Up Your Heart" sends things off a high note, with a Jeff-Tweedy-in-ballad-mode vibe. With its winning mix of a variety of pop styles, picking up Distant Drumming might be most brilliant mistake you'll make. Last year, I overlooked the self-titled debut of this California band, not coming across it until earlier this year. It turned out to be a disc I really liked, kept meaning to write about, and never got around to. Luckily, they've just released a second disc and they can overlooked no longer. Full/Filled is a winning disc of bright power pop that will appeal to fans of Squeeze, XTC, The Beach Boys and Elvis Costello, and it's just as good as their first. "Change In Time for Monday" is as good an introduction to their sound as any, and its uptempo sound, complete with piano, synths and guitars galore reminds me of fellow Californians Big Kid and The Meadows. "What's Beneath"'s slinky melody brings some 10cc into the mix, and the fine harmonies of "The Gray" call to mind Jeff Larson and America, albeit with a bit more pep. Elsewhere, "Wake Up Tired" channels early Chicago, sans the horns, "Used to Town" throws in all the bells and whistles of a late-Beatles tune, "A Tree Beyond" is classic 70s sunshine pop, and "Where'd He Go" is XTC meets Jellyfish. This is Grade "A" pop, folks, from a band whose tank is far from empty, so be sure to check this one out as well as their (previously) overlooked debut. ...and all of us power pop fans are just living in it. 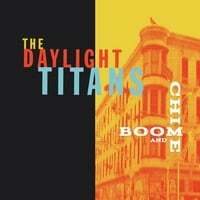 Two new releases highlight the man who's at the top of the power pop game as a performer and producer. First is his latest new material, and it's a slight departure from his usual work. He assembled a country band called The Cuban Heels, and they've released a 7-song mini-album titled New Dog - Old Tricks, which was recorded in one day barely over a month ago (August 2 to be precise). It's a fine collection of new material and covers, including the Hank Williams (Sr.) classic "Jambalaya". Carpenter got the inspiration for the band while doing a show with Bryan Estepa, and the opening track on the disc, "The Ballad of Ambivalence", is a country-rock number much in the style of All The Bells and Whistles, the album he produced for Estepa. "Some Days are Worse Than Others" is another quality original, a Band-style midtempo number drenched in pedal steel, and "If You Ask Me" (co-written with Cuban Heel Russell Crawford, for whom Carpenter produced a great EP in 2006) is a high-quality ballad with a strong buildup. This is really a must-get, and a contender for the year-end list (EP or full disc). But if you want it on disc, it's extreeemely limited (100 copies) and Not Lame has 40 of them, so click here and act fast. Otherwise, it's available as a digital download (a redundant phrase as I don't think it's possible to pull off an analog download) from MC at Big Radio. 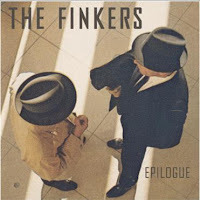 Meanwhile Carpenter's original band, The Finkers, who put out two discs around the turn of the century, are anthologized in Epilogue, a 2-CD set that collects all of their studio recordings. If you're a fan of Carpenter's solo material, this will be right up your alley, especially if you're like me and only came into MC about four years ago. All of their albums, EPs, and contributions to tribute albums to The Stems, The Replacements, Gene Clark, The Flamin' Groovies, The Real Kids and Radio Birdman are included, and if you missed out on them, it's like getting 2-3 brand new MC albums. I don't do a year-end reissue list, but if I did this would definitely top it. Geoff Smith-Ones and Os. 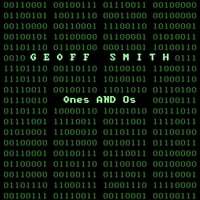 Geoff Smith is back with Ones and 0s, the followup to his fine 2006 release Geoff Smith & The Tonewheels (#13 in my 2006 list). As might be gleaned from the title, digital music is the theme here, with references galore to mp3s, URLs, podcasts and the like; it might be the first-ever power pop computer geek concept album (just check out the song titles). Smith's way with melody is still present, and he manages a couple of good Beatle pastiches with "Hello Hello" (think "Hello Goodbye") and "Talk Like a Man", which borrows liberally from "Lady Madonna". Good stuff, both in spite of and because of the subject matter. 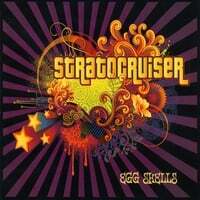 Stratocruiser-Egg Shells. A search of the AbPow archives reveals that I've never mentioned this North Carolina band on this site before - an oversight that's being remedied right now. This is their third full-length, and possibly their best yet. For the unfamiliar, the sound here is heavier power pop, with almost a 70's AOR sound. "Try" and "Clear as Day" are a cross between Aerosmith, Cheap Trick and Collective Soul, while "Cracked Up" and "I Think So" are classic southern jangly power pop with none other than ex-dB Peter Holsapple on the organ. Put this one on and you can just feel the sideburns growing. Warm In The Wake-Speak Plainly. 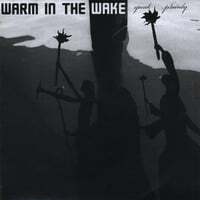 Staying in the south, AbPow favorite Warm In The Wake is back with their second EP, following up last year's American Prehistoric full-length. They continue to hone their Wilco meets Teenage Fanclub sound, and leadoff track "Explorer" is about as perfect an example of that sensibility as one can get, while "Middle Eastern Feathers" is an acoustic gem. Meanwhile, closing track "Place Change" is a matching bookend to "Explorer". These guys continue to be about as good as indie pop gets. A couple of months ago, I waxed poetic on Stone Cold Summer, the fine new release from former Red Guitar frontman John McKenna. Now's your chance (if you haven't picked it up already) to get it for f-r-double "e", if you tell three friends, etc. This is a similar offer to the one for The Major Labels' Aquavia. Click below to get it! Back when I did an early-year top 25 in April*, this disc came in at #25 even though I hadn't mentioned it on the site. It was an mp3-only deal at first, then an import-only disc, and now is finally available domestically in the USA. Captain Wilberforce is Simon Bristoll, which is about as Brit-sounding a name as one can have, and by and large, his music is as Brit-sounding as it gets. His debut release, 2005's Mindfilming, was one of the more underrated and overlooked releases of that year, and it would be a shame if this followup suffered a similar fate. So let me put it simply: if Michael Penn or Jon Brion had grown up in Leeds instead of L.A., this is what they would sound like. Bristoll, er Wilberforce, is equally adept with the uptempo tracks as well as the slower, languid ones. In the former camp are "No Strings or Ties", the rollicking opener; the near-title track (I say "near" because it's titled "Everybody Loves a Villain"), which has an XTC-meets-Jackdaw4 vibe, and "The Longest Night", which reminds me in a way of Coldplay's "God Put a Smile Upon Your Face". In the latter camp are the lush, pretty "The Girl Who Broke Her Own Heart", the McCartneyesque "A Different Sea" and the acoustic closer "The Twilight Kids". Topping them all is the Jellyfish stomp of "Born Again Brand New Man", a bright, bouncy track that bears a bit of Beach Boy influence as well. 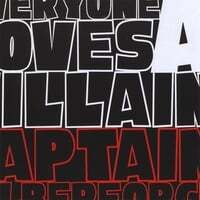 Well done, and it'd be a good thing to have a little Captain in your music collection. *I should have done a mid-year best-of, but never did, and now that it's already September, I'm just going to wait for the year-end. Detroit has a long and proud rock'n'roll tradition, and The Romeo Flynns are the latest entrant from the Motor City. Their debut disc, Pictures of You, manages to bridge the divide between rock and pop in the context of a concept album about one of music's favorite subjects, a relationship gone bad. After a "conversational" interlude that sets the stage, the title track kicks in, and it's a great display of their kind of sound, one that borrows from the poppier side of Cheap Trick and KISS. Although the track is a bit on the long side at 5+ minutes, the extended time allows them to even work in some sax near the end, a nice touch. "Gonna Feel Alright" is a tour de force of famous rock sounds - from the glam stomp of the beginning to its Jerry Lee Lewis-piano pounding to its horn section. "A Better Man Than Me" supplies more high-energy rock'n'roll, "Wasting My Heart" is outstanding jangle-pop that calls to mind another Detroit native, Marshall Crenshaw, and "Just Fade Away" is high-grade power pop a la The Shazam. Frontman D. Lawrence Lee can also handle the slower numbers - "Every Time We Part" and "Kristine" are as good as the rockers, and the latter, with its swelling strings and piano, is reminiscent of KISS's "Beth". They close matters out with a fine cover of The Kinks' "Better Things". 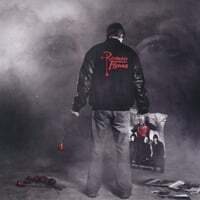 It's always refreshing when a band shoots for a big sound, and The Romeo Flynns do just that; thankfully, their reach doesn't exceed their grasp here, and rockers and poppers everywhere should get a kick out of this disc.